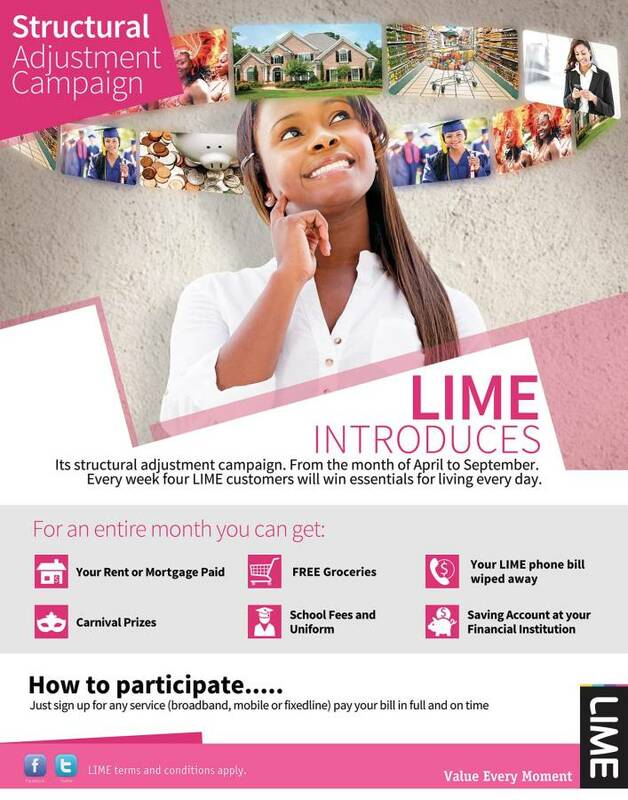 Last Friday, LIME launched their new “Structural Adjustment” programme in response to the struggles faced by customers to meet their financial requirements. The 6-month programme rewards customers on a monthly basis with items for daily living, e.g. groceries, paid rent or mortgage, cooking or vehicle gas, or school supplies, among other items. Residential customers signing up for any of LIME’s Postpaid Services or customers who pay their LIME bill in full and on time, will automatically be entered into the programme. In order to execute the programme, LIME has partnered with local enterprises Rubis Gas, Country Cold Stores, Grenville Credit Union, John’s Boutique and CK’s Super Valu. Country Manager of Rubis Gas Charles Archer, and Francis St Hillaire, Marketing Officer at the Grenville Credit Union, both commended LIME on the partnership initiative. Draws will be conducted every week. Starting 17 April, two winners will receive cheques to cover their rent or mortgage. The final draw will be held on 2 October.